Postcards from the Attic: Banana Frog Birthday Hop! May is Banana Frog's birthday (and mine too, so let's celebrate!). What says birthday more than cake? 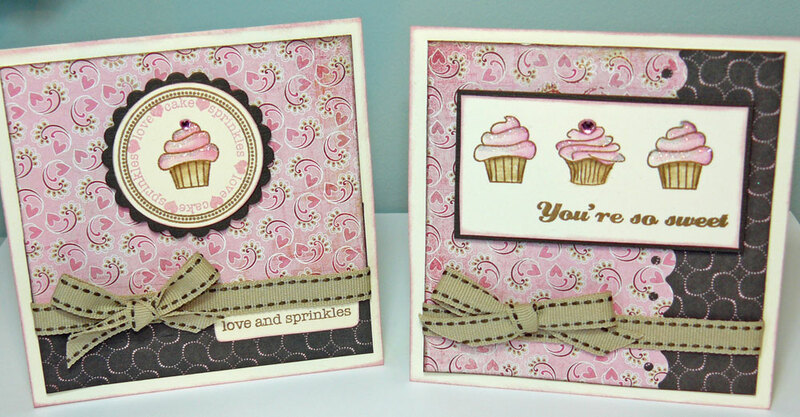 I've used the Cupcake Greetings for my quick and simple cards for the hop. I'm the last stop on your hop so it's back to Banana Frog from here. If you've found the hop here then it's worth a visit to the other DT members' blogs as there might be candy in it for you! Katy, I love the cards hon! They do look good enough to eat!! Hope you had a great birthday too! Lovely, lovely card. Cute cupcakes and lovely paper. Happy Birthday Katy - hope you got some cards as pretty as these. 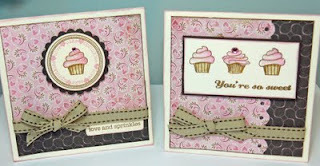 Beautiful cards & I love that 'dare I say it' pink patterned paper! What make is it??? Hope you had a fantastic birthday hun! Happy Belated Birthday Katy, very pretty cards, I would be very happy to receive either of them!